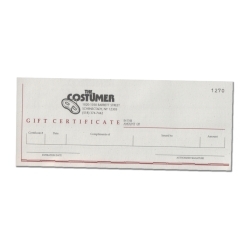 Costumer Gift Certificates make great gifts. Amounts ranging from $10 - $100. For larger amounts please call our Catalog Department.